Worm behavior : The Malicious code looks for open 5555 adb debug interface after successful infection, which is worm like. Target equipment : Most are android based devices. We will not publish details as of now. 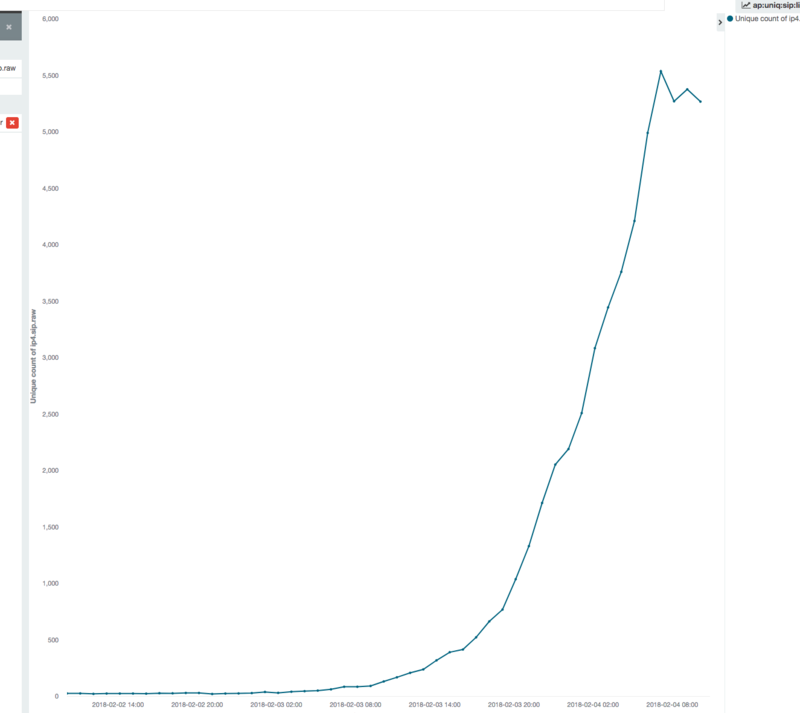 As can be seen from the figure above, the scan traffic on port 5555 starts around 15:00 pm on 2018-02-03 , reaches 3 times the daily average number, and has a tenfold increase around 24:00. the number of IPs initiating scanning and the total scanning traffic are still growing as of now. As it can be seen below, the current 5555 port scan traffic has been gone up to the top ten of all ports on our scanmon system. The last time we saw a new port suddenly jumped to the top 10 list was the mirai botnet, which goes back to September 2016. The number of unique scan sources is 2.75k on our scanmon system, and 5.5k on our botnet tracking system. Those infected devices are actively trying to spread malicious code. By analyzing the spreading source, we found that most of them are smart phones and smart TV (TV box) based on Android. We will not publish detailed infected models here. Till now, we don't think it is a vendor level issue. A set of malicious code are located till now. Among them, the xmrig related ones are involved in digging XMR tokens, with two groups of configurations. We will post any important update here to further illustrate this, stay tuned.